Flexible ticket – use any time during your holiday! Book this ticket to include transport from the following eastern resorts: Cala Bona, Cala Millor, Sa Coma, S'illot, Cala Ferrera, CalaD'or and Cala Egos and Callas de Mallorca. Open dated ticket - visit the waterpark on any day you choose during your holiday! Tickets are valid on or after the date you select when booking, up until the end of the season. Please note: Children aged 3-4 will require a mini-ticket, which can be purchased at the park for €10. Please print and present this as you board the transfer bus. Don’t Miss: An hour or two of pampering in the world’s largest Jacuzzi! Grab your family by the hand and make a splash at Aqualand El Arenal, one of the biggest and most exciting water park in Europe! 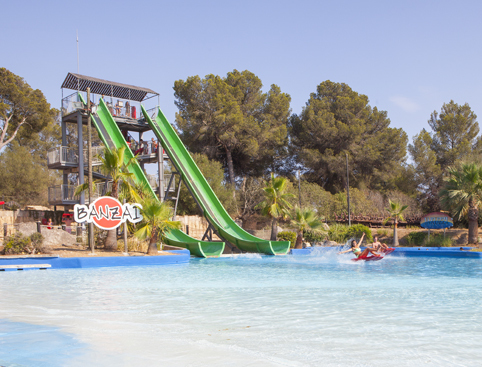 Whether it’s for hold-on-to-your-cossie waterslides for adrenaline junkies, hours of happy splashing about fun for little squirts or somewhere easy on the eye to relax and watch the world go by, there’s something for everyone at Aqualand El Arenal! Aqualand El Arenal is the perfect destination for those who like their rides on the wild side, with an array of heart-thumping, hair-raising slides and attractions to keep even the most well-travelled thrill seeker happy! 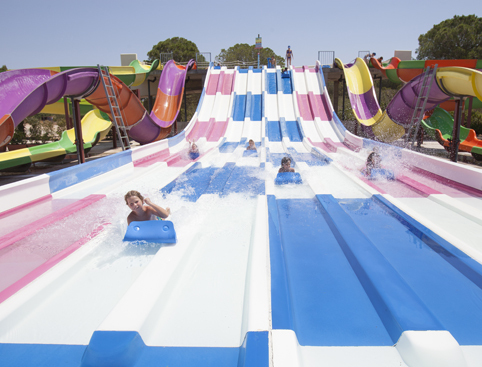 There’s plenty of action at Aqualand El Arenal for younger guests too, the perfect place for families of all ages to enjoy fun under the hot Mediterranean sun! Enjoy a sleepy siesta or simply relax and enjoy time-out in the lush and colourful gardens at Aqualand El Arenal. And if you’re serious about relaxation, pamper yourself with hour or two in the largest Jacuzzi in the world! 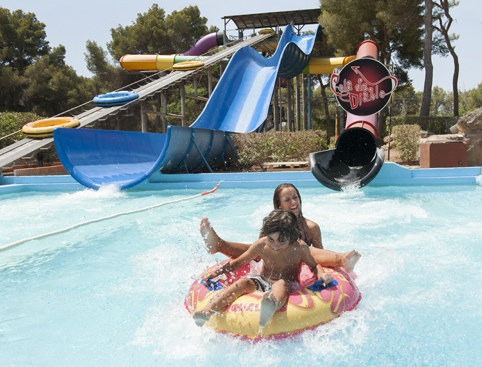 Aqualand El Arenal is located in the south of Majorca near El Arenal beach. Aqualand has a great selection of restaurants, fast food and snack bars, ice-cream parlours, a gift shop and a photo lab. Admission to Aqualand El Arenal. The EMT’s no. 23 bus service departs from Palma and stops right opposite the park’s car park. Aqualand El Arenal is rated 5.0 out of 5 by 3. Rated 5 out of 5 by rebecca17 from Fantastic day out I brought tickets for Aqualand El Arenal, for my party of six- quick easy and efficient ! Thank you! Rated 5 out of 5 by margaret11 from Fantastic day out I've bought the tickets from the website in advance, we had a great time. I really recommend the website.